Imogen's Typewriter. : #CrushYourTBR Readathon Round Up! Three days, two hosts, one readathon. My plans for the #CrushYourTBR readathon were optimistic to the point of unrealistic but I made an attempt to crush! It was more a little dent in the end but still. It's quite nice to have an excuse to yourself to do nothing but reading, even if I did find myself tidying and studying over the weekend. Either way, here's my #CrushYourTBR readathon round up! I just got new bookmarks. 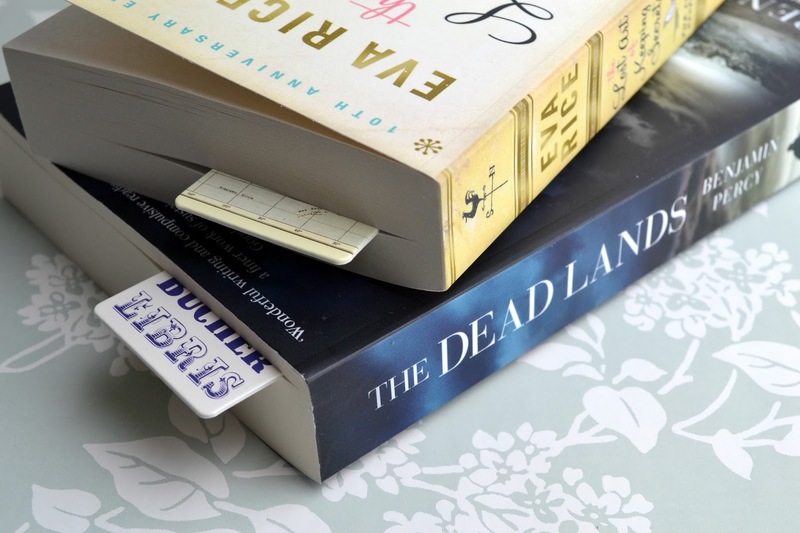 Thus enjoying matching my bookmarks to the books. 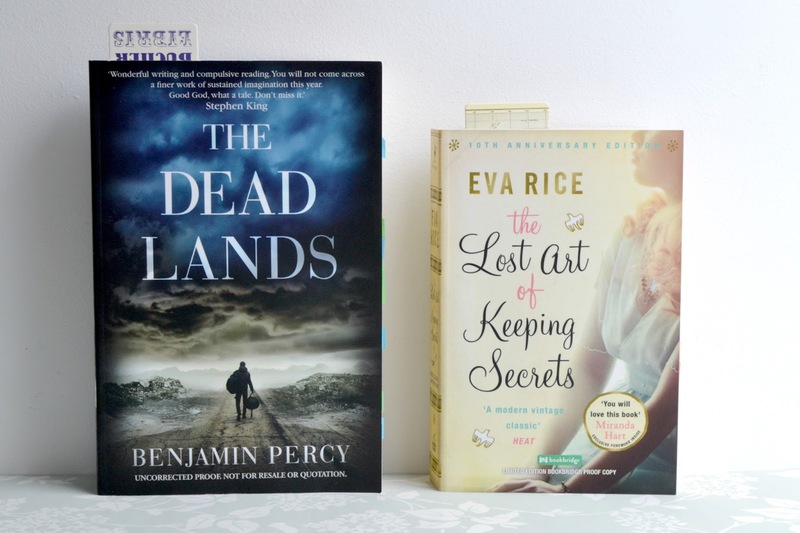 On Friday I started by picking up The Dead Lands by Benjamin Percy, it was a busy day with eye appointments and book shopping and to make it even harder, I didn't really enjoy the book. I read 54 pages before calling it a loss. What I expected from the blurb, the description and the cover was a hard edged apocalyptic survival story. What I got was pretty much fantasy. There was human beings with black eyes, an mechanical owl that could record then project it's recordings, and the skipping between characters was just too fast and confusing for me. It's a shame because I was so looking forward to this and it just wasn't my cup of tea. To the paused shelf it goes! On Saturday I decided to start afresh even with the disheartening Friday and picked up The Lost Art of Keeping Secrets by Eva Rice. I wanted to go for a book as opposite to The Dead Lands as I could. And a story about the 1950's upper class seemed like a good change! This book is wonderful. I read 114 pages and was utterly enchanted. the characters, the setting, everything is just perfect. I continued The Lost Art of Keeping Secrets on Sunday and got up to 274 pages. It's a slow paced book, but by no means is that an insult. I just wanted to savour it so probably not the best pick for a readathon. I'm so pleased I started this book though, Miranda Hart was right with her quote on the cover, I really love it. So overall I read 328 pages in all. A good double what I would normally read in three days and got two books off my six book TBR pile. I think next readathon I will pick more fast-paced books but the #CrushYourTBR readathon was great fun! Did you #CrushYourTBR? What did you read?